Caldwell Gallery Hudson is pleased to present an exhibition of Miriam Laufer artworks created from the mid-1950’s until her unexpected passing in 1980. 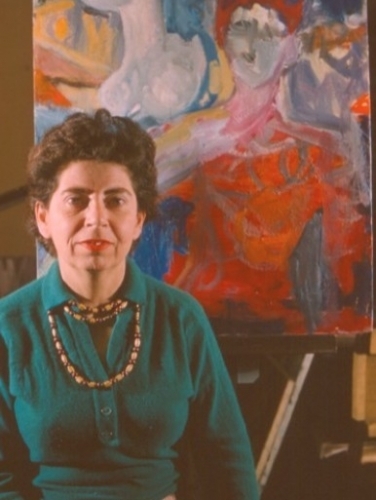 The artist spent her youth in Berlin, relocated to Palestine in 1934 at age sixteen to escape the rising threat of fascism, and finally moved with husband Sigmund Laufer to New York City in 1947. In New York she began a multifaceted career as a painter, designer, illustrator and calligraphy artist.